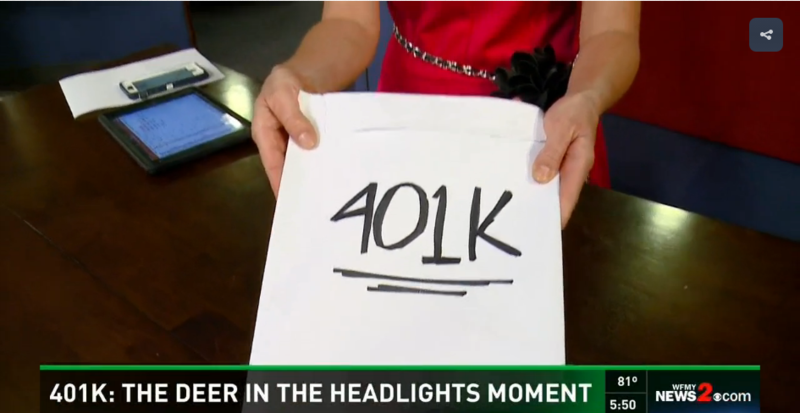 Deer In The Headlights: What's In Your 401k? Let me see if this scenario sounds familiar; you employer hands you your 401k booklet for the year or you get it in the mail, you open it and this happens. "You give the immediate deer in headlights look and then you file it away as something I'm going to get to and you throw it away 3 months later," says Certified Financial Planner Matt Logan. Find the phone number in all that paperwork and start asking questions, "What am I invested in?" In a recent Deloitte survey, people were asked if they agreed with this statement: "I have too many immediate financial needs to commit any significant savings right now to my retirement." More than half of the respondents 45 and younger agreed, that is the case. Just under half from 46 to 55. It wasn't until folks were within a decade of retirement that more than half admitted to putting money in. "You're missing out on 30 years of compounding. So that dollar you're putting in at 20 is worth more than the dollar you're putting in at 60. You don't have to wait until you've got thousands of dollars. You start with a little bit. It might be the difference of buying a few less Starbucks during the month and that can go a long way to retirement.check out the compounding difference." Think about this, a 25-year-old putting in $5,000 bucks a year has $1.1 million by 65 (with a 7% annual return). But start at 35-years-old and the end result is just over $500,000.